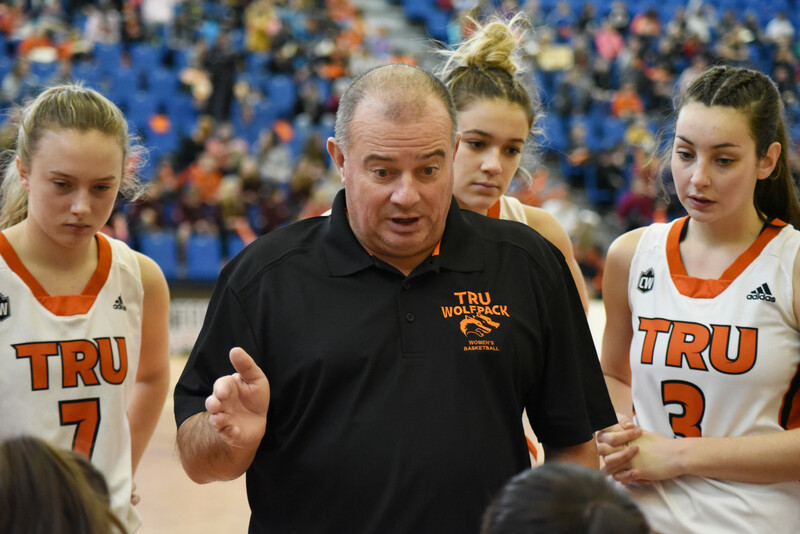 The TRU women’s basketball team will be undergoing some changes over the summer as Scott Reeves will no longer be the head coach of the team. The decision comes off a disappointing 2018/19 season in which the ’Pack failed to qualify for the playoffs for the third straight year. Reeves’ departure will ironically coincide with that of his assistant Chuck Ferguson and program stalwart Michelle Bos. He was believed to be interested in staying on as coach but upon further review, the ’Pack decided to go in a different direction. “I would like to say to the university alumni and current team that I am thankful for the opportunity to coach at the U Sports level for the past 13 seasons,” Reeves told TRU Athletics. Reeves acknowledged that his time with TRU helped him meet some great people and create incredible memories. The team’s best season under his leadership was in 2014/15 when TRU went 18-2 in the regular season. That year TRU hosted and won a playoff game for the first time. Reeves’ departure marks the second coaching change in the 2018/19 season after Kelly Shantz left his role as women’s soccer head coach. He will leave TRU with a 102-171 regular season record in thirteen years, he was 18-93 in his first five years, years in which the program was still in its infancy. With the recent changes TRU has sent a message to WolfPack fans; results matter. The WolfPack is growing as a program and results play a part in attracting better talent, something that TRU need if they are going to get a playoff spot annually. With these changes, Atkinson has brought in a new era for the program. Hopefully, an era with more success than the previous one.